There’s this place where life is lived on mountain time and a river really does run through it. A place where blue skies beckon and endless exploration abounds. Missoula, Montana, is the perfect blend of nature and culture. We’re talking about a place chock full of adventure where big city amenities and small town charm converge. In the wintertime, we don’t let a little snow slow us down. Instead, we revel in it and celebrate all this great town has to offer. Find your holiday cheer and some serious festive spirit at the Meet Me In Missoula eeekend, November 30th-December 2nd, 2018. The Meet Me In Missoula weekend is a beloved time in our town—a time where we invite our friends near and far to join in Missoula and have a splendid little weekend in our eclectic mountain paradise. “The best way to spread Christmas cheer is singing loud for all to hear,” so find your spirit at the Missoula Community Theatre’s production of Elf! The Musical. This classic holiday movie turned play is fun for the whole family and filled with catchy tunes, hilarious dialogue, and entertaining dance numbers. Get your tickets early and enjoy the talents of Missoula’s local (and talented!) actors and actresses. Savor the Sounds of the Season at Holiday Pops! The Missoula Symphony Orchestra’s Holidays Pops! Winter Concert is a favorite event in Missoula. The symphony hosts a series of concerts featuring holiday favorites. This family-friendly event is great entertainment for all ages and is sure to leave you tapping your toes and jolly for the season. Missoula is a regional retail hub in Montana, meaning that you can check all names of your list this holiday season. Missoula has four distinct shopping districts, each with a great personality and even greater store options. Check out Downtown Missoula for locally owned and Montana Made Goods. Wander over the Higgins Bridge to Hip Strip or take a stroll through Southgate Mall. And with zero sales tax, make sure you splurge for yourself too! On November 30th-December 2nd, make your way to Missoula and experience the wonderment of winter in this truly inspiring place. Enter to win the Meet Me In Missoula Weekend Giveaway, featuring a two-night stay at the DoubleTree by Hilton – Missoula Edgewater, two tickets to Elf! The Musical, two tickets to the Missoula Symphony Orchestra’s Holiday Pops! 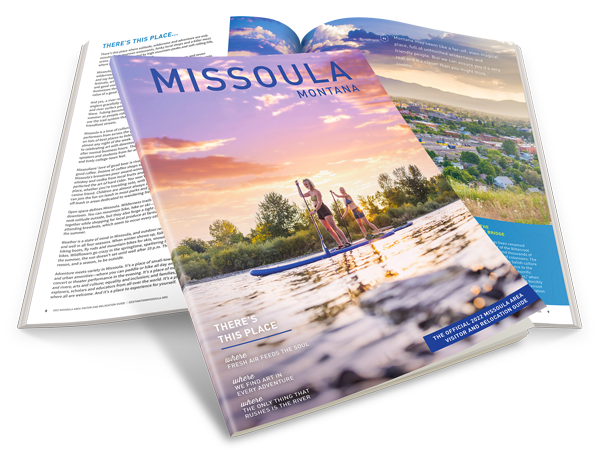 Concert, $200 to Missoula restaurants and more. Enter by November 20th for a chance to win this incredible prize package.